Library Monday: Winter Reading Round-Up. It has been a bit since I've done the Library Monday thing, and I figured I might flex my book sharing muscles today with a simple post sharing what folks are reading around my house at the moment. Well, M. and me, anyway. The smallest fry is still all about the pigeon. M. has finally decided that she had the necessary literary courage to dive in on the Harry Potter series. I gave her the entire set of books as a gift over the holidays, and she is about three deep at the moment. As expected, she loves it so far. I think it actually helps that so many of her friends have already read them and have spoiled some of the bigger and potentially more stress inducing plot points. She knows that many a favored character isn't going to make it out of book seven alive, and seems okay with this. Big progress in the literary plot acceptance department for my girl. I've had my nose in a book much of the time lately, I suppose in part because I have had more kid free time in the last few weeks than I have had in the previous nine years combined. I'm in the process of getting my teaching credential transferred to Massachusetts, which in spite of my having a Master's in education, appears to require taking a bunch of tests that prove I know lots of important things. Like what a rational number is and what started World War II. So, there is some reading of that variety going on. But we will skip that business and get to the good stuff. 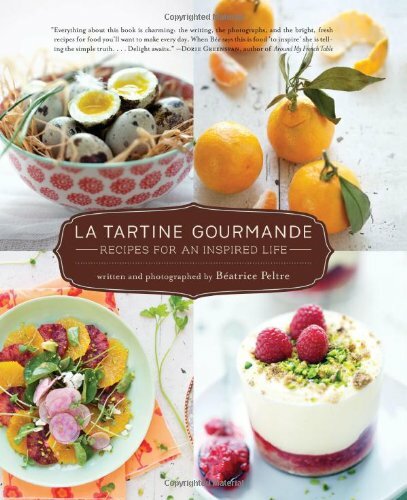 I picked up La Tartine Gourmande last week after browsing through it over and over again at my friend Sarah's house a few days before. It is truly lovely, and I'm obviously a fan of the fact that the recipes are all gluten-free (or easily adapted to be). I've already cooked out of it a handful of times, and everything has been stellar thus far. Love. 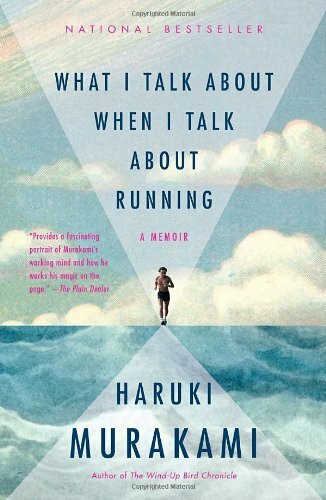 Being a longtime fan of all things Haruki Murakami, I'm surprised that it took me so long to read What I Talk About When I Talk About Running. Maybe because I wasn't doing all that much running for awhile there? Either way, I am definitely back to running now, and doing five or so miles most days of the week. This book makes a nice complement to my running routine, and I love the way that Murakami writes. Plus, he lives in Cambridge so it is fun to read his words about running some of the same places that I do. I recently finished reading Wild by Cheryl Strayed and would absolutely recommend it to all my friends and neighbors. 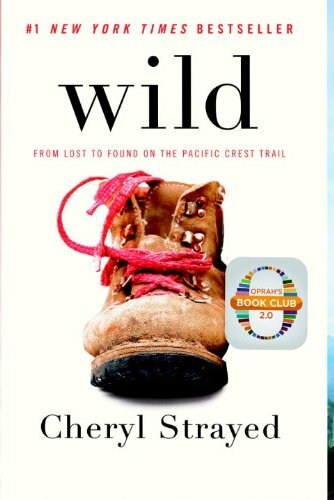 A memoir about the author's solo hike of the Pacific Crest Trail, Wild is really the story of one person finding a way to save herself through self-reliance, courage, and the healing power of nature and solitude. It is pretty inspirational, and definitely has me itching to spend a bit of time on the A.T. this coming summer. I suppose I can do some of those sorts of things if I find myself without hiking companions under the age of ten, right? I could certainly use some new book recommendations for the new year, so if you are reading something worthwhile, please leave a comment here and let us know what it is! As Dawn and I have been working away on the Mud Puddles to Meteors page, we've begun to realize that we have shared a lot of great stuff here and there on other blogs and pages over the years. Many of these are no longer active, and are likely to disappear into the ether of the interwebs sometime soon. With this in mind, I've decided to move a few of my reviews of favorite books that I've written other places onto this page. The following review is one that I wrote a few years back for a book that we just recently rediscovered and have been reading again lately. I was happy to be reminded of it, and I hope that you will be too! My mother lives in North Western Washington State on the Puget Sound. Although we are originally from Washington (I was born and partially raised in Spokane), this is the first time that my mom has lived on the coastal side of the state. When she first moved there, she sent us a few "local" treasures to help Mariam understand a bit about where she was living. Among them was Salmon Stream, a beautifully illustrated book about the life cycle of the salmon, a fish widely associated with the Pacific Northwest. My daughter has a great fondness for non-fiction books that give way more information that you might guess anyone would ever want. This book provides that, but the real informational bit comes as a sort of appendix at the end of the book, after a lyrical text that gives a flowing and easy to read overview of the life cycle of the salmon. A perfect combination for the mama that likes to read a well-written picture book and the daughter that likes to read the encyclopedia. An additional benefit of this book is that it makes such a nice addition to the fall book basket. If memory serves, Pacific Salmon swim upstream in the fall, making this season a perfect time to learn about the life cycle of these fish and maybe even to plan a little field trip if you happen to live in the right area. As much as I love all the books about the changing of the leaves and animals nesting in preparation for winter, it's fun to provide a little balance by reading about what happens as the season changes in the non-woodland parts of our world, no? Library Monday: The Extraordinary Education of Nicholas Benedict. I almost decided to skip out on writing about this particular book here, mostly because I feel like I have properly expressed our affection for The Mysterious Benedict Society books all summer long here, and maybe you all want to hear about something new and different. But then The Extraordinary Education of Nicholas Benedict by Trenton Lee Stewart turned out to be such a fantastic story that I talked myself out of being innovative and interesting. I'm just going to be honest instead. We like what we like around here and apparently what we really like is all things Benedict Society. The decision to even pick up The Extraordinary Education of Nicholas Benedict was not an obvious one, despite our enjoyment of The Mysterious Benedict Society trilogy. I somehow had a difficult time imagining that a book about Mr. Benedict himself would be as compelling and rich and just plain exciting as the books about his rag tag team of genius orphans and their unusual heroes' quests. But the book, which chronicles Mr. Benedict's own formative childhood experience living in an orphanage with a mysterious past, turned out to be so much better than I could have imagined. And that is something that I love in a good book: when the plot makes twists and takes turns that are totally outside the realm of what I might have expected. There is a certain joy in a book that contains a myriad of surprises, but this is especially true when those individual surprises add up to a story that is wholly satisfying. For her part, the avid kid reader 'round these parts absolutely loved this book. She was also skeptical to begin with, in part because I think it seemed slightly odd to her to read about the childhood of a character who is so much like a parent to the kids who are the true stars of the other books. But it didn't take long for her to be totally invested in the story, and to be completely taken in by the cleverness, loyalty, and kindness of Nicholas Benedict the boy. Throughout Nicholas' adventure in solving the mystery of the orphanage, and in improving the lives of those who he lives there with, there are glimpses of the Mr. Benedict that he will become. If anything, reading about Mr. Benedict as a boy makes the Mr. Benedict of the trilogy come alive even more. By the time we finished this book, the fact that it was the final Benedict book out at the moment was very much on her mind. "I wonder," she said, "if I could write to the author and tell him that he should make more of these books..."
Library Monday: The Mysterious Benedict Society and the Perilous Journey. For reasons that are perhaps not at all sensible, I often find that I am hesitant when it comes to reading sequels to books that I have found particularly fantastic. I can't quite say if it is because I secretly fret over the possibility that the next title will be less fantastic, therefore ruining my happy feelings about the first book, but I suspect that this is probably close to the mark. Which is to say, it took us nearly three years to continue on with the Mysterious Benedict Society trilogy after finishing the first book, despite the fact that both Mariam and myself loved it whole-heartedly. And I am happy to say, my concerns appear to have been unfounded. The Mysterious Benedict Society and the Perilous Journey by Trenton Lee Stewart turns out to be a wonderful, page-turner of a follow up to the first book, and is a worthy story in its own right. Part detective story, part hero's quest, part tale of daring and adventure, the Perilous Journey is engaging, exciting, and every bit as clever as its predecessor. Like in the first novel, Stewart pays incredible attention to including the details that make the story feel real and true- even in moments when the events taking place seem outlandish and implausible. For her part, Mariam seems to enjoy the fact that the strong, smart, capable kid characters from the first novel remain so in this follow up. The kid geniuses from the first book have all returned for the second, and prove themselves to be just as quick witted and kind hearted in this story. If anything, the characters are slightly more self aware this time around, and Stewart does a remarkable job of writing their individual thought processes and inner conflicts in such a way that their growth as people since the events of the first book is truly apparent. 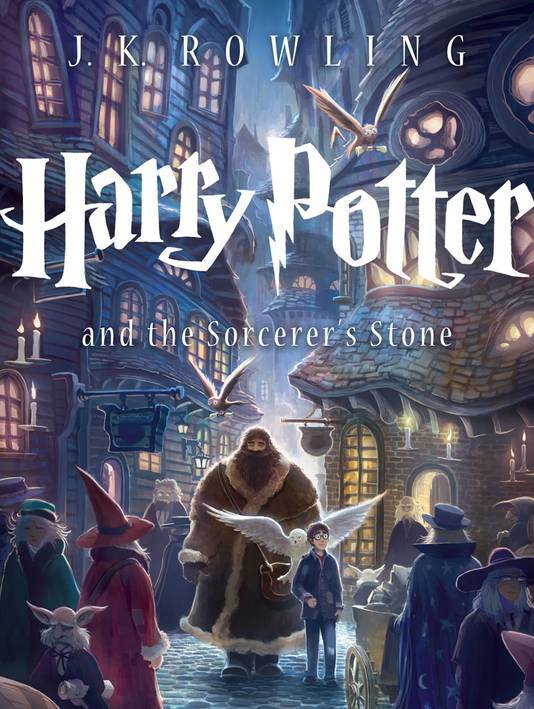 And, like with the first story, The Mysterious Benedict Soceity and the Perilous Journey is, above all, a satisfying tale of the power of friendship, family, and loyalty, so despite all of the harrowing danger faced by the kids as the novel reaches its climax, the hope provided by their reliance on one another always shines through. Also, did I mention that it has moments that are laugh out loud funny? The balance between moments of humor and dramatic tension is very well done here indeed. So, while I can't exactly why I was so sheepish about picking this one up, I'm certainly glad that we did. It was a great restart to a read aloud routine that needed a bit of attention after the madness of our move. And, I think it will be quickly followed up by the third book in this clearly solid series. Library Monday: A Little Giveaway for Your Library. The considerable effort at organizing our recently unboxed wordly posessions continues. Although I tried to go through a lot of our belongings on the Vermont end of things, the reality was that as the move loomed closer and closer, I just ran out of time to be as conscientious and thoughtful about what to bring and what to giveaway as I had hoped. But, this turns out to be a good thing. Well, for you anyway. Because one of the discoveries that I made as I was unpacking last week was a stack of extra copies of Henry and Mudge titles from my days teaching small literacy groups. There are four different titles represented, and I think that I have enough copies to give away sets of the four books to three interested parties. So, if you would like to fortify your Cynthia Rylant collection a bit (always a recommended course of action, if you ask me) simply leave a comment on this post. I'll pull numbers out of the proverbial hat 'round about Friday or so, and then email folks to get mailing addresses for sending the books. Thanks to all who entered! I'll be in touch with the winners, Christen, Sandra, and Liz via email. In other news, I have a post up on the Playful Learning blog at the moment. It is an easy recipe for gluten-free play clay, and we are finding that the stuff works great for all kinds of sculpture and model building activities. The clay will be making another appearance (as part of a larger project) in the Alphabet Glue 2013 Summer Science Special, which I am hoping to have ready next Monday, July 1st. Library Monday: If You Want to See a Whale. A good couple of months before we started even packing up for the big move to Massachusetts, I put some serious restrictions on book procurement for any and all people around here who I am officially in charge of. Myself and the kids, essentially. Dan's book collection habits are an unstoppable force of nature that I wouldn't even try to harness. So, new books have been few and far between for the smalls these last few months, and any exceptions to this rule have been notable ones. Which is to say, that if you are looking for a picture book truly worth its shelf space, If You Want to See a Whale by Julie Fogliano (with illustrations by Erin E. Stead) is an excellent choice indeed. I had heard enough buzz about this book even before it was in print, that when it actually became available, I just couldn't help but snap up a copy for our shelf. I have no regrets. If You Want to See a Whale is a lyrical exploration of the finer points of watching for an extraordinary thing to happen; an ode to patience, perserverence, and the benefits of a watchful eye. The text reads almost like poetry, and the softly colored illustrations are simultaneously subtle and expressive. The story is a simple one- it chronicles the quest of a small boy and his dog as they set about whale watching- but the words on each page serve as invitations to a larger tale, just on the horizon of the reader's imagination. And despite the fact that this particular picture book is ideal for the younger reader, my chapter book eating nine-year old read through it immediately upon its arrival, and then wanted me to do the same (so that I could understand what she meant when she told me how very, very good it was). If You Want to See a Whale is a whimsical and humorous guide to the finer points of nature observation (not being distracted by pirates, for example), but it is also a nice reflection on approaching the world with wide-eyed wonder and expecting to meet magic. 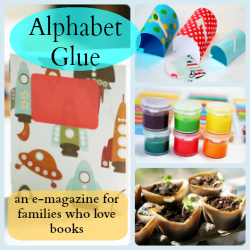 Believe me when I say that no one is more surprised than I am to hear the news that in spite of all the packing and the sorting and the moving across various state lines and then unpacking and sorting some more, there is a new issue of Alphabet Glue ready. Right this minute. Indeed, in the midst of all the madness (and I can assure you, it really was madness), I put the finishing touches on Volume Thirteen of Alphabet Glue. It probably helped that I started working on it the very day that I launched Volume Twelve. And after I finished this newest installment, I proceeded to engage in all sorts of internet wizardry to make sure that it could launch itself this morning, even if I found myself without internet, or coffee, or shoes. Or all of the above. Volume Thirteen is simple summer fun at its finest. Cool kid science activities, fun printables, four fantastic new themed booklists, basic bookmaking projects for storytellers and naturalists alike. Good, good stuff. And from freezer-free ice cream to handmade insect encyclopedias, you can find it all right here. Which, of course, I hope that you will do. Library Monday: Q & A a Day for Kids. There was a time in my life when I was a keeper of journals. I guess in some ways, I still am (this blog being a fine example, I suppose), but I don't do the same kind of waxing poetic with pen and paper type of thing that I did in my college years. I'm good with that, although from time to time, I do thing about the little details of daily life that might be nice to remember later. Which is one of the reasons why, when I ran across Betsy Franco's Q & A a Day for Kids, I snapped up a copy like that. The idea here is genius in its simplicity, and pretty well done in its execution. There are pages assigned to every day of the year, each with a prompt for kids to write to. The pages have space to write an answer to the prompt three times: this year, next year, and then one more time three years from now. The questions are mostly about small details of daily life: what kinds of things a kid likes to wear or eat, what instruments they play, what they see when they look outside of their bedroom window. There are also some questions aimed at finding out a bit more about a kid's perspective on things. One question asks what they think a gallon of milk probably costs. Together, revisiting each of these questions again over the next couple of years will create a unique journal of the way that a child's likes, dislikes, world view, and thoughts on life's smaller moments change as they grow. I love it. For our part, we began the journal on Mariam's ninth birthday. So, if we stick with it, we will finish it on the day that she turns twelve. I expect that we will have days when we forget to write, and am planning to give us leniency for catching up within a reasonable window of time (so that the answers are still an accurate picture of her thinking at the moment). So far I have learned that she thinks that I am the person who understands her best (at least most of the time), and that she is pretty sure you can buy a car for about 1,000 dollars. Good to know. Every so often I get an email from a concerned parent of a reluctant reader who is looking for ideas that might get a book into the lap of their small person on a more regular basis. There is a lot to be said on this subject; much more than will fit in this post with all of the other Monday business nipping at my heels today. So let's save some of that for another day and for now, focus on the fun bit: great books for motivating reluctant readers. The Henry and Mudge series is written by the always fantastic Cynthia Rylant (and illustrated by Sucie Stevenson). Regular readers of this blog know that along with cupcakes and my disdain for mud, Cynthia Rylant is one of the things that I like to talk about the most. I personally love pretty much everything I have ever read of hers, but have to admit that Henry and Mudge seems to have a special something when it comes to encouraging otherwise persnickety little boys to pick up a book. I have seen many a third grader, struggling to learn to read independently, and discouraged by a lack of good books that are "easy" enough for reading alone, pick up a Henry and Mudge title and never look back. These are classic boy and dog tales that are sweet, funny, and infinitely readable. I have yet to meet a kid that doesn't like them, and with a reading level hovering around early to mid-second grade, they are excellent confidence builders for struggling or reluctant readers in the seven to ten age range. If Henry and Mudge prove popular, you might also try Mr. Putter and Tabby. You can read my Library Monday post on Henry and his big dog Mudge here. Another series that I particularly like for reluctant or struggling readers is the Nate the Great detective books by Marjorie Weinman Sharmat. There is a lot to love here: longer books that have the "look" of chapter books but are still quick reads, humorous plots with quirky characters, mysteries that are fast moving and not overly involved. Nate the Great books also generally hover around the end of first grade or beginning of second when it comes to reading level, a fact which, when paired with the fact that they have the look and feel of a chapter book, can be a really nice confidence booster for kids who aren't sure about reading non-picture books. Our favorite boy detective gets the Library Monday treatment in this post. The Houndsley and Catina books are somewhat newer on the scene here, but are so charming and well-done that I definitely plan to build a little collection of them to share with Zak as he gets older. Written by James Howe (of Bunnicula fame), this series pairs reading levels mostly hovering around mid-second grade with a cast of animal characters both lovable and funny. I especially like the fact that Howe's characters in these books are anything but one-dimensional. In spite of being animals spread across the pages of an early reader, they have relatable personality quirks that I think kids can really appreciate, and that make them good "starter characters" for delving into books with more nuanced storylines. Read up on a Houndsley and Catina favorite here. As with Cynthia Rylant, there is special place on our bookshelves for all things Gail Gibbons. Now, these books don't necessarily have text that is written with struggling readers in mind. In fact, the reading levels tend to be high, generally out of the reach of independence for the younger readers that the books are written for. So why include them here? Because compelling informational books like the ones that Gibbons writes are a perfect vehicle for helping reluctant readers to understand what the fuss is all about. They may not be able to read these books on their own, but browsing through them or reading alongside a grown-up is a really great way to further emphasize the idea that we read to get information about things that we would like to learn more about. All of Gibbons colorful illustrations about owls, milk production, mail sorting and phases of the moon? Well, she will tell you all about them if you are willing to spend a little time learning to read her words. Jump in. Gail Gibbons love on Library Monday in this post. Can we give just a little bit more love to Cynthia Rylant before we move on? Because when it comes to really great reads for reticent readers, I do think that her High-Rise Private Eyes series has a lot to offer. This series, about an animal detective pair, has reading levels that consistenly come in around mid-first to early second grade, making them really accessible for younger or struggling readers. But the books are also full of slightly clever (and very corny) humor that kids seems to love and that lets the reader feel that they are in on the joke; something which helps to disguise the fact that these books are written as early readers. Everybody wins! This series, along with Nate the Great and Encyclopedia Brown, was one of the primary sources of inspiration behind the kid detective issue of Alphabet Glue (Volume Two). Oh, and all this week get a free issue of Volume Five of Alphabet Glue (one of my favorites!) when you purchase Volume Ten or Eleven. Just let me know where to email the free issue in the "note to seller" area when you checkout! Library Monday: Cul de Sac. Most weeks, the girl child is fairly uninterested in the title choices that I make for my Library Monday posts. I may, for example, ask her if there is something that we've read lately that she thinks I should write about, and she will answer something along the lines of "Oh, I don't know. Go look at my bookshelf." So, when she tells me that I should share a particular book or series with you, I figure that I should listen up and comply. I think of it as a nice way to respect her choices as a reader and to validate the fact that I think she has good taste. She likes that. And thus, I introduce to you the Cul de Sac comic strips, written and illustrated by Richard Thompson. I think that I first happened upon Cul de Sac when Lori mentioned that her kids had really loved them. We don't currently read the newspaper at our house, so I hadn't seen the actual strip in a comics section and wasn't familiar with it. I trust Lori's taste pretty implicitly though (she's wicked funny but also very kind), and when the books went on sale on Amazon (I think they are still only $5.00! ), I bought a couple for Mariam. She has had her nose buried in them ever since. Cul de Sac follows the comic adventures of preschooler Alice Otterloop, and the neurotic, hilarious family and friends that surround her. And as far as Mariam is concerned, the strips have it all. Gentle but intelligent humor, super quirky characters who have interactions that are really and truly funny and unexpected. Alice gives speeches atop manhole covers about a four year old's perspective on life, while her brother recreates the history of mankind in shoebox dioramas. There is even a guinea pig, something which I believe to be a strong indicator of good literature in my daughter's world view. One of the things that I'm enjoying the most about our burgeoning collection of Cul de Sac anthologies is the fact that the comics have such broad appeal. Mariam loves the expressive illustrations and the face value humor of the storylines. I find myself chuckling at the references to the bland sameness of surburban life which is punctuated in such hilarious ways by our general ridiculousness as human beings. There have been occasions where a particular strip just seemed so true and so funny that I had to read it through three or four times and just appreciate the brilliance of it. There is a whole lot to be said for books that use gentle humor to remind us to have a little chuckle at our own expense, as well as for comic strips that let us spend a few minutes eavesdropping on a bunch of kids chatting as they dig a hole to Disney World. There is a good reason why my kid is keeping a stack of Cul de Sac books in her bunkbed with a flashlight nearby.